No matter what your favorite type of Fall Fun is, this Halloween Season, you won't want to miss out on Boise's best Haunted Mazes! Classic corn mazes can be a ton of fun for the whole family - you never know what will be around the next corner as you weave your way through these fun filled labyrinths! A beloved harvest season pastime of Boise, corn mazes are one of the most exciting and fun filled day time Fall Attractions of the Halloween Season! Linder Farms Pumpkin Patch, Corn Maze, Hay Rides Meridian 548 days ago Rate Now! 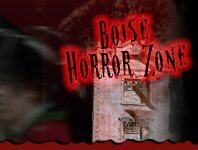 Founded in 2011, BoiseHauntedHouses.com is a simple and unique online haunted event & attraction resource created to make it easy for locals to find Haunted House, Spook Walk, Corn Maze, and other Halloween Attractions in their local area.